The Los Angeles Lakers got off to an awful start for a third time in as many games, then almost gave up the game late, but in the end somehow, some way, they came out on top. Brook Lopez finished with 27 points and the game-winning free throws with 0.6 seconds as the Lakers held on for a 108-107 win over the Orlando Magic. Lopez did his work in the paint, hitting 11 of 14 shots inside the arc. He did fail to grab a rebound on the night, but considering his clutch free throws, the Lakers are likely willing to overlook that for at least one game. L.A. trailed by as many as 15 points in the first quarter, but rallied and led by five at halftime. Things seemed to just about put away in the fourth as they led by as many as 12, and had a nine-point lead with just over two minutes left. But the Lakers’ late-game problems resurfaced as sloppy play and missed shots allowed Orlando to storm back and take a one-point lead with just five seconds remaining before Lopez knocked down the game-winning free throws. The game ended amidst confusion as the clock started too early on Orlando’s final possession, running out before anyone had touched the ball. After a review, the referees ruled that the clock would reset, but there would be a jump ball at center court, ending any hopes of a Magic last shot. In addition to Lopez’s big scoring night, Kyle Kuzma returned to form, finishing with 20 points and 10 rebounds. 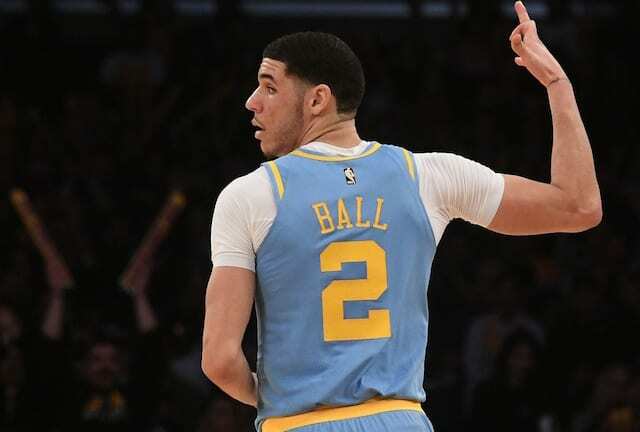 Lonzo Ball had a huge third quarter, scoring 13 in that period and finishing with 16 overall to go along with six rebounds and five assists, while Isaiah Thomas had 13 and nine assists off the bench. 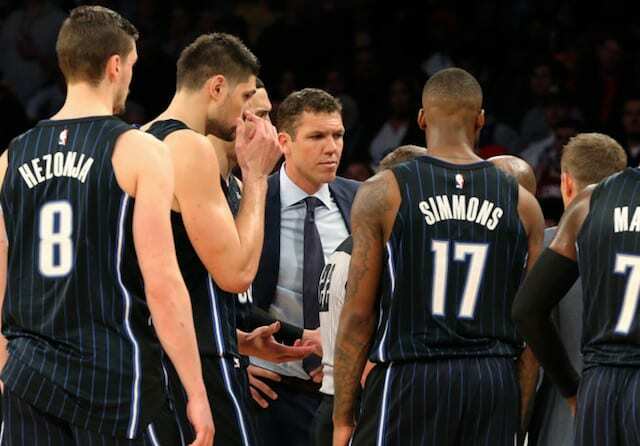 Orlando was led by their bigs as Aaron Gordon had a game-high 28 points and 14 rebounds while Nikola Vucevic finished with 24 points and 12 boards.